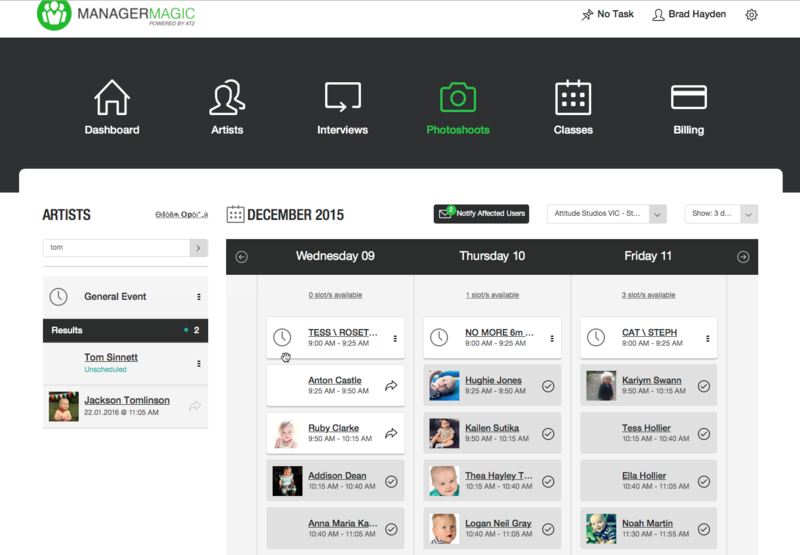 Manger Magic is a purpose built entertainment industry specific tool for Agents & Managers to assist managing your agency/company and your Artists more efficiently. 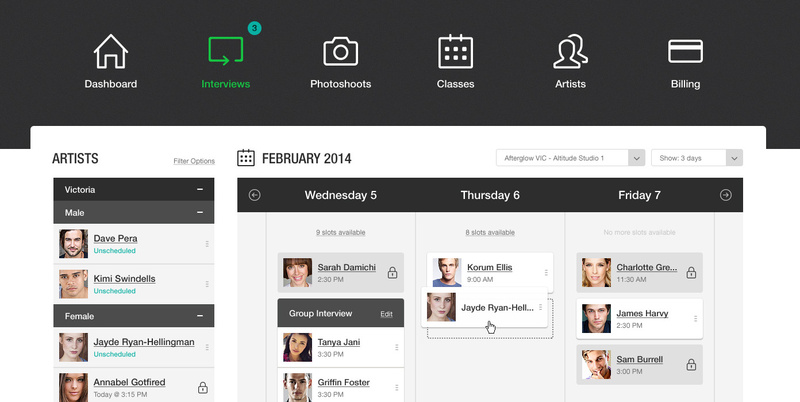 Built by a team with over 20 years experience in online casting, and audition capture, scheduling and collaboration software (learn more here). We are a team with extensive large to small scale website development experience building sites for top global brands and many industry specific sites for agencies and casting professionals. We have a history of award winning innovation and we not only invented online casting 20 years ago but continue to lead the way in providing quality online solutions for our entertainment industry members globally. 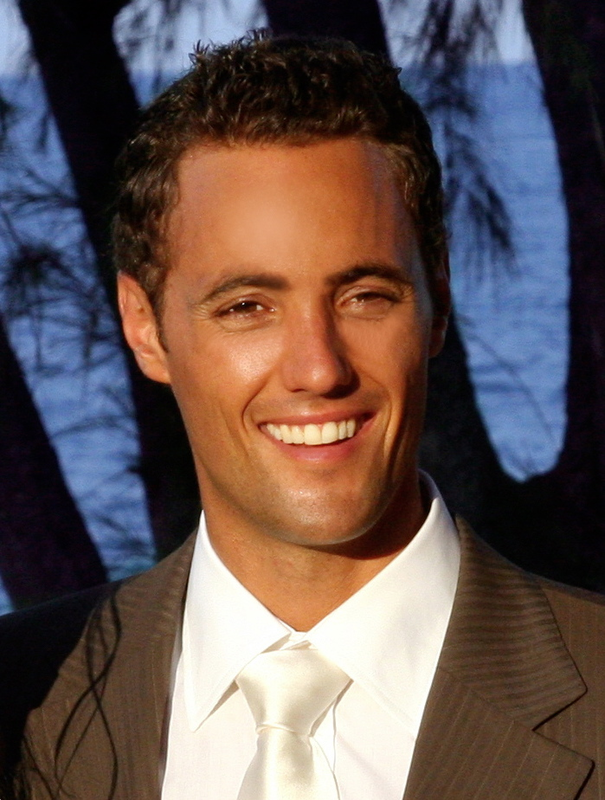 We develop cutting edge entertainment industry specific software properly. That means we are focused on innovation and creating new solutions, to help you cut costs, run more efficiently and save valuable time. We have 2 decades of experience and history, so you can trust we understand you and your business better than anyone. 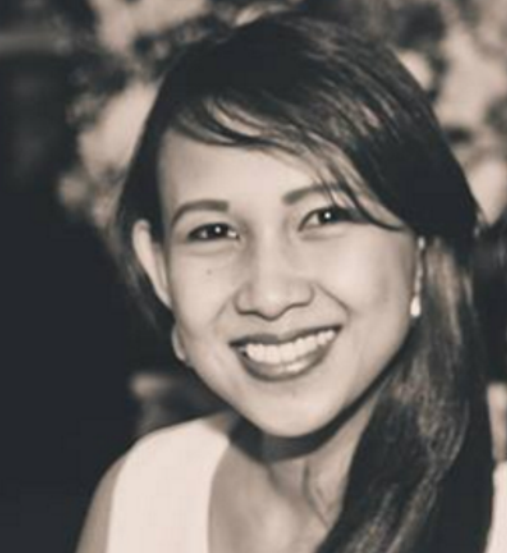 We have a full time design and development team to ensure our innovation never stops. We are a support driven company having served over 700 agencies over time, we are dedicated to helping you improve the business efficiency and streamlining you desire. 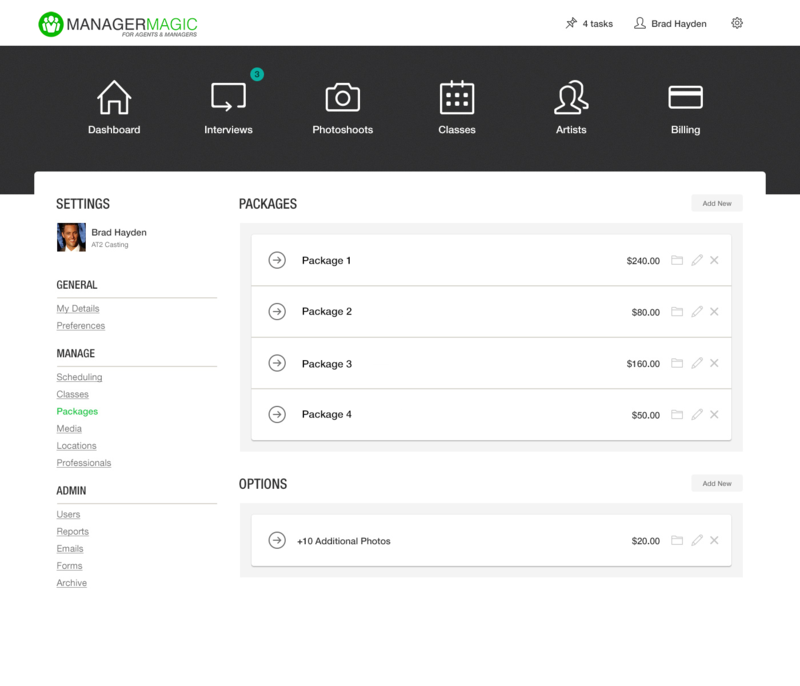 MANAGER MAGIC is a cloud software solution dedicated to improving your efficiency, cutting costs & saving time. 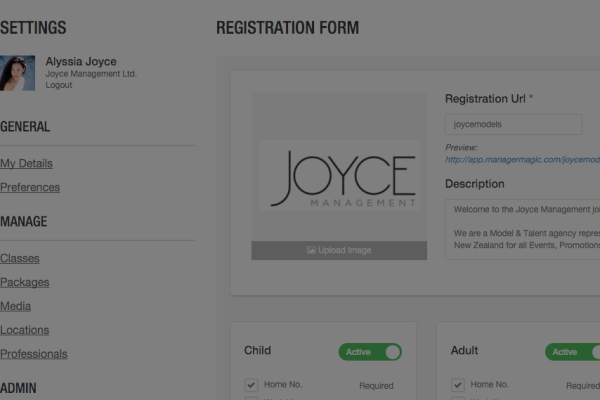 In Manager Magic, you can customise the set-up of your Application form for your Artists that are visiting your website and requesting representation with your agency/company. 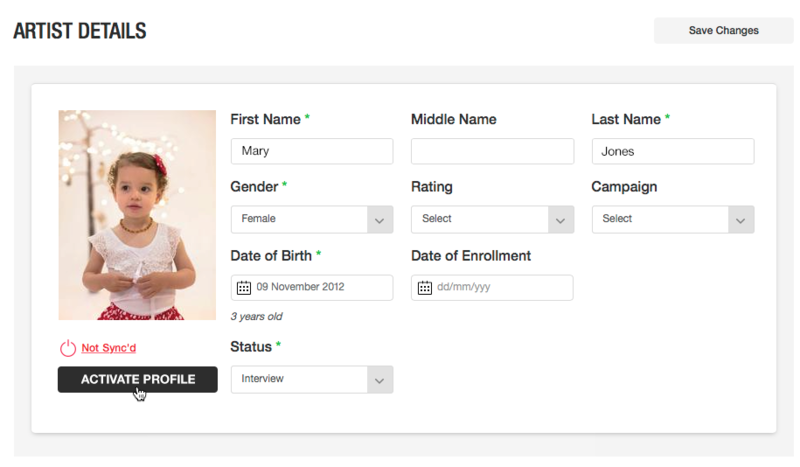 There is an option to allow Adult, Child or both when applying, with different fields for children, like multiple guardian contact details and other important information relevant to parents applying on behalf of their child. 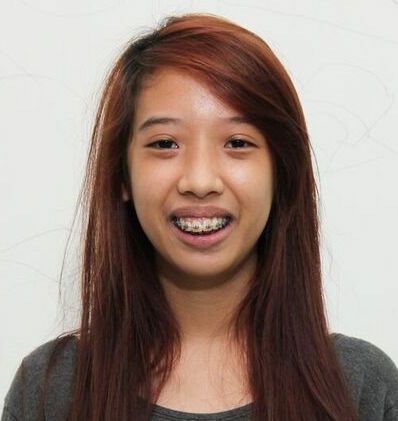 You can also decide on every field, what is require/not required by applicants. 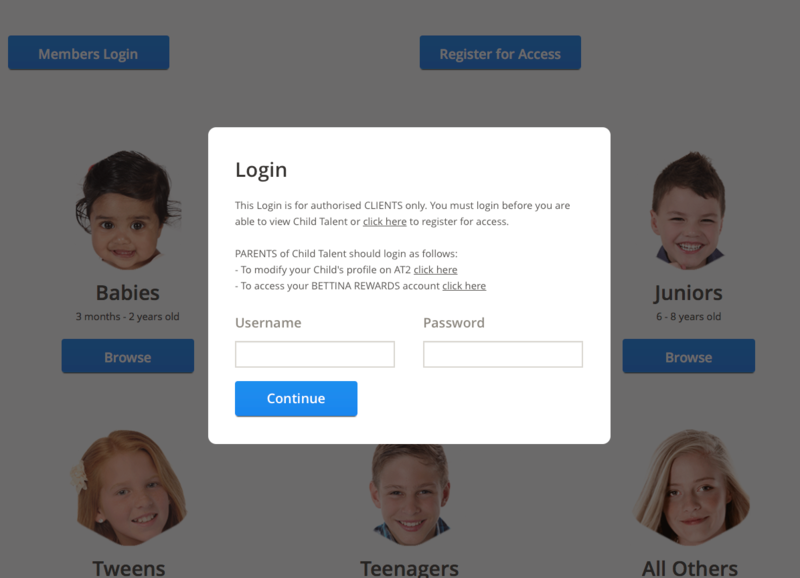 to select what appears to users to enter, including their basic contact information, their statistics, and even set-up custom questions that require text entry or multiple choice. Basically this flexibility gives you all you need to capture exactly what you need to from your Artists and store all of that in your own custom database. We can also help you set this up on a custom URL so it ties in seamlessly with your website like apply.YOURAGENCY.com or join.YOURAGENCY.com for example. 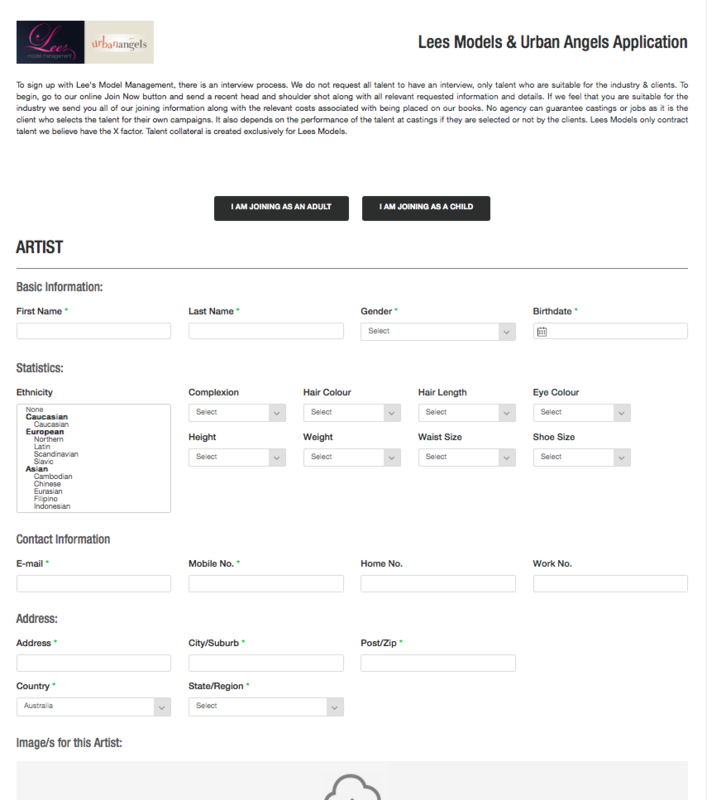 As your Artist applicants visit your site and apply on your custom application page, they instantly appear on the dashboard to be reviewed by you or your staff. 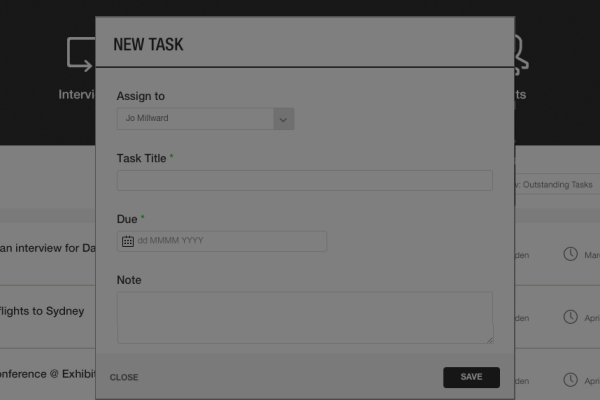 You can then seamlessly review their applications and start scheduling them for interviews in your flexible scheduling and notification module within Manager Magic. 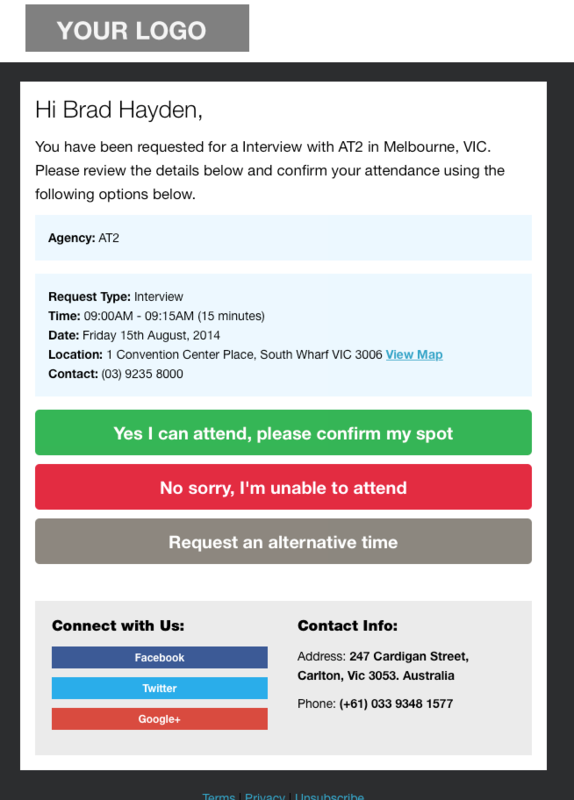 You can decide which location, who will interview them and what date and time and this will notify the Artists and give them the ability to confirm, request another time or cancel all in their email with a click of the button. All saving you valuable time and effort chasing and following up by phone. 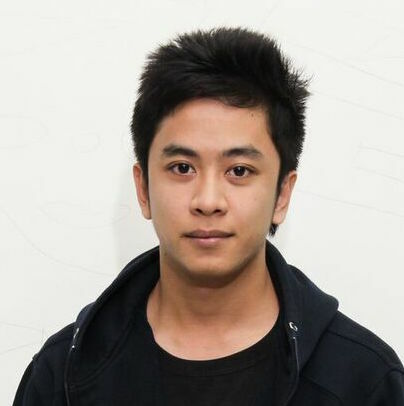 With Manager Magic, you have your own database to manage all your applicants and Artists your represent, you even have record of those who applied but weren’t successful. 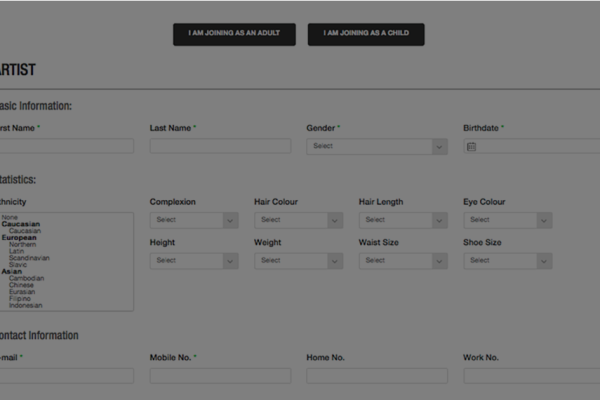 You can view profile information, media, notes, contact information, application form questions and more! 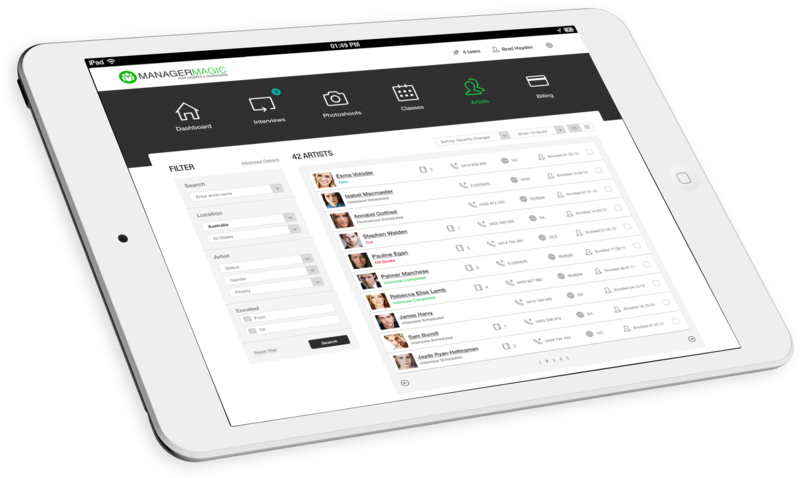 Start running your business from one streamlined system today. 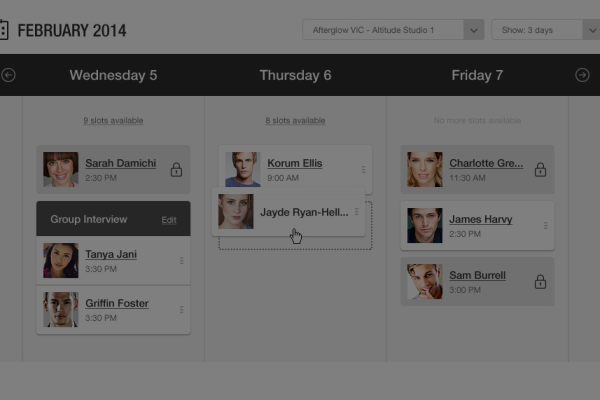 Half the battle with scheduling is the follow up and management of confirmation of times with talent and ensuring they know where they are coming and will arrive on time etc etc… Well NOT with Manager Magic, we have an inbuilt customisable notification process attached to your scheduling, so whether you are scheduling Interviews or Photoshoots for their profile image with your photographer, the notifications are sent seamlessly to your Artists with where and when they need to be, a link to a map of the location and the option to confirm or make a change request right there in the email ! We think that makes sense, we are pretty sure you will too! 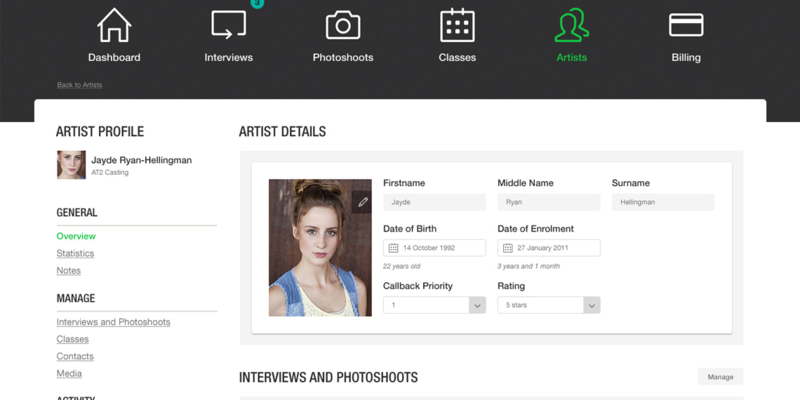 Organising your Photoshoots for Artists is simple in Manager magic, you can set-up your Professional Photographers and locations and manage all photoshoots for your Artists easily by booking them in and managing the notification process with ease just like interviews. 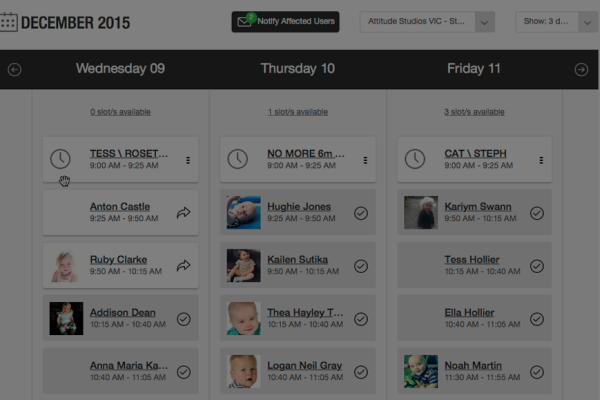 With our Drag-And-Drop Scheduler, organising times for your Artists couldn’t be easier. 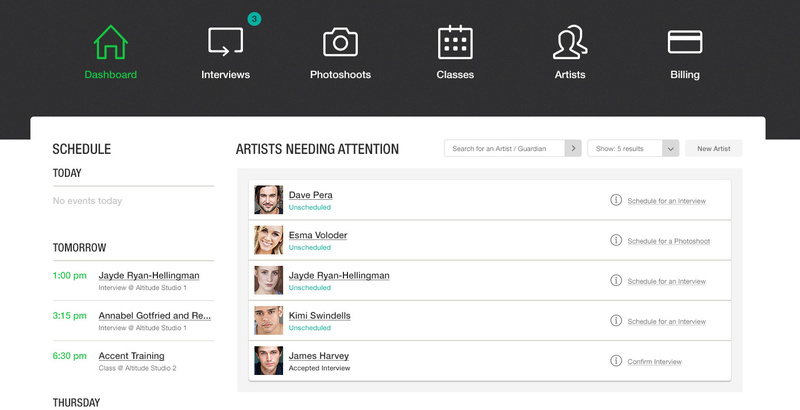 find your Artist, drag them to a time slot, select the location and photographer and then notify them all in one streamlined process. 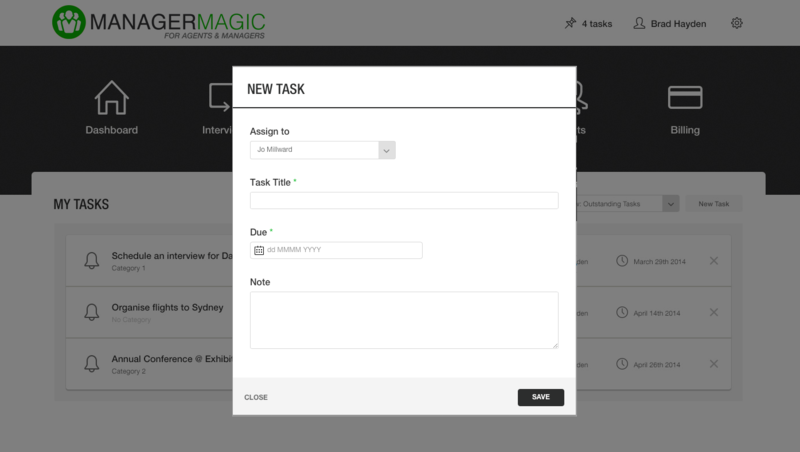 In Manager Magic you can manage your internal staff tasks amongst your staff. 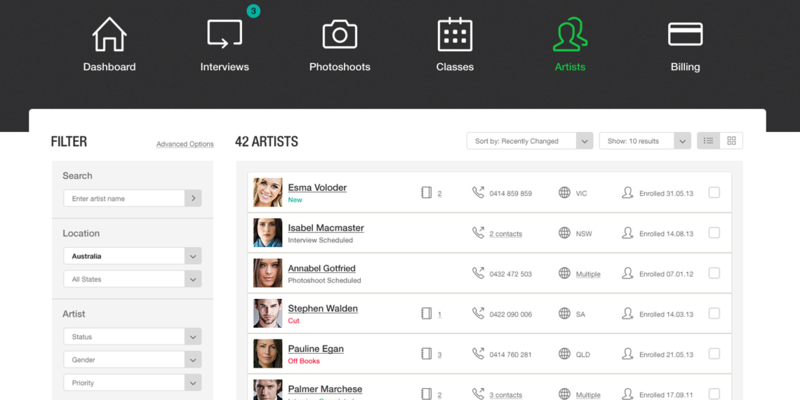 Remind them of Artists to call, office tasks to complete or photoshoots to manage, this easy internal messaging solution notifies them of their tasks and allows them to sign them off when complete. As an Admin owner of the company, you can review all tasks and monitor those not completed by staff on time, making sure you have your finger on the pulse of your agency/company at all times. Should a staff leave you still maintain all that history and it doesn’t leave with them again protecting your data and communication internally. 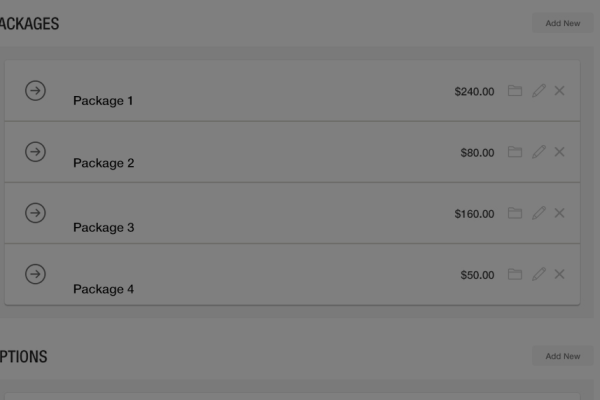 If you offer packages to your Artists including photoshoots, portfolio, classes, training, casting system memberships and more, Manager magic can handle that for you allowing you to set-up all of these options and packages for your Artists and document these purchases as well. 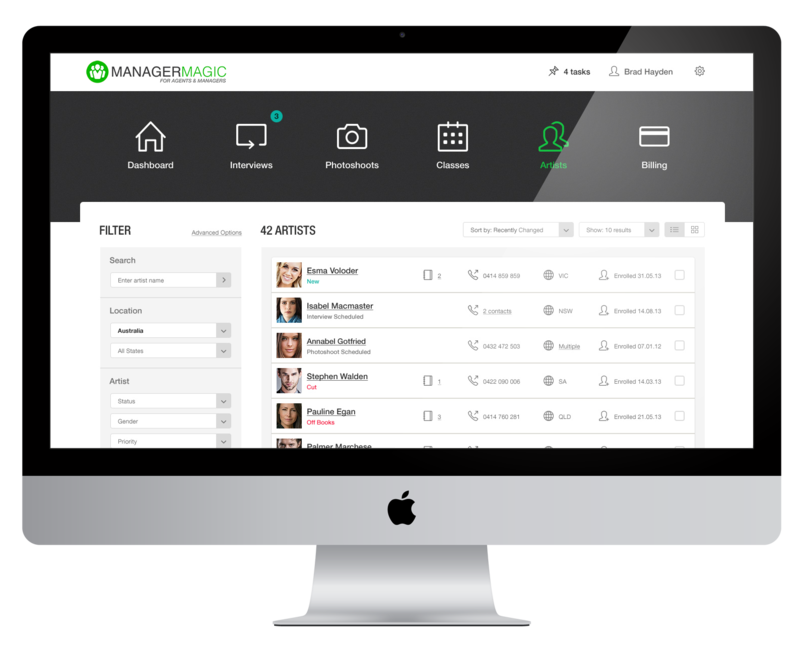 Inside Manager Magic with one click you can activate them on Audition Magic – The global Online Casting and Marketing platform that couples Manager Magic to give you the ultimate level of control and marketing power for your Agency/Company. 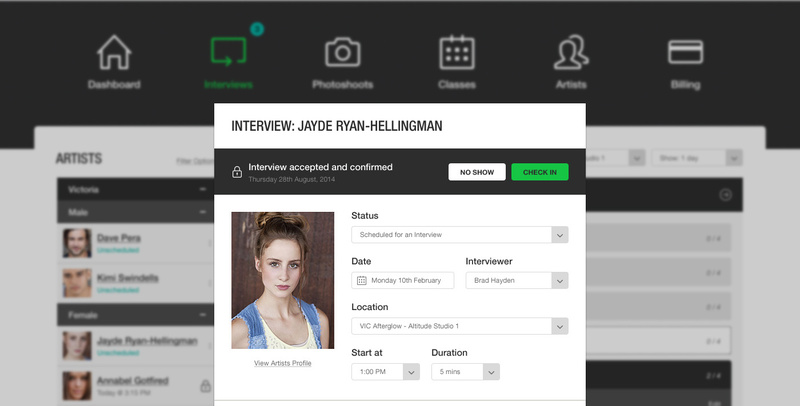 Inside Audition Magic you can do extensive profile editing, set up fully interactive resumes, upload videos and audio files, manage large portfolios of images, SMS your Artists for important messages, Pitch them for work, integrate with your Agency website…..the list goes on ! 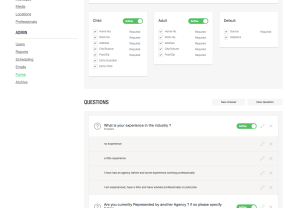 In combination with our online casting and marketing package integration, we can assist you in integrating with your Agency/Company website in order to remove double handling data and power your website with your profiles from manager magic. 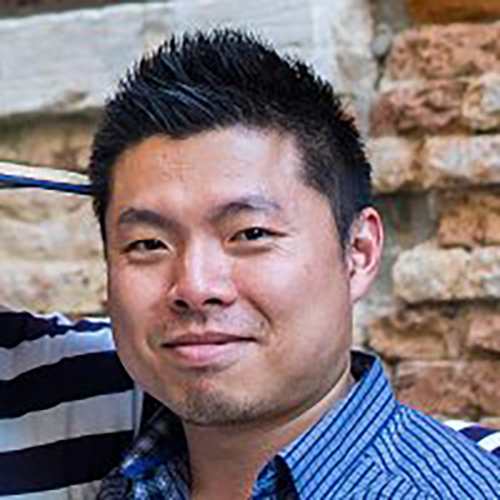 This means goodbye to extra web developer costs, time to manage your site and update talent profiles, basically if the talent or you update a profile, this data is instantly shown on your agency/company website in an instant creating amazing efficiency and simplifying your workflow immensely. We have an API you can access for use by your developers/designers or we can do it for you by setting up some default templates and integrating them into your site or building a complete custom site for you, the choice is your. Exporting your Data in Manager Magic is simple, whether it be for accounts, for import into email marketing systems or for any other purpose you can always access what you need when you need it in just a few clicks. More and more, we rely on our mobile devices for everything , our banking, a replacement for the cameras we used to carry and now, you can also access everything you need for your business from your phone too. Manager Magic is your answer to true business mobility. 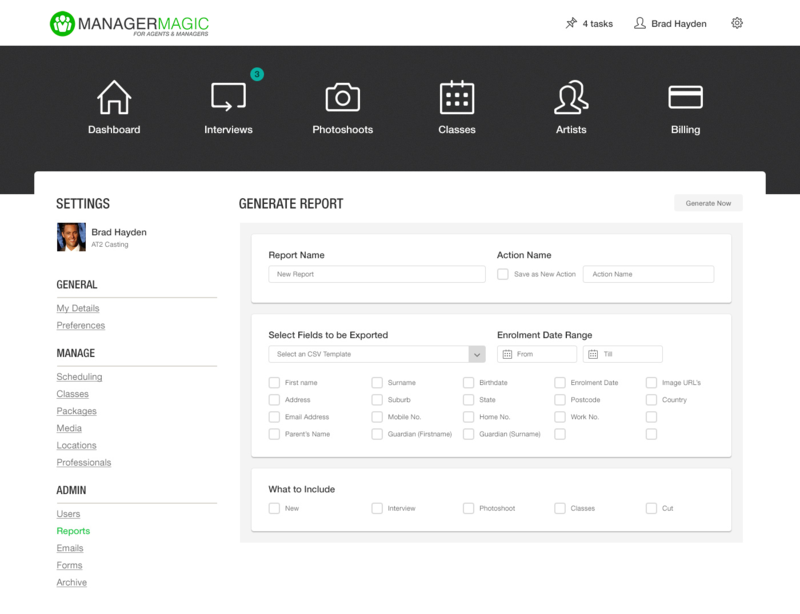 Let us show you how Manager Magic can assist your agency/ company. Creating a nice design was key to us ensuring you enjoy using the application day-in, day-out on your desktop, ipad or phone. We know if you are more efficient, and more effective in organising your agency/company, your business grows!, we are here to help make that happen. In a changing world where new devices pop-up quicker than you can blink, we built Manager Magic to work responsively across all of them, so you have access from anywhere at anytime on any device. 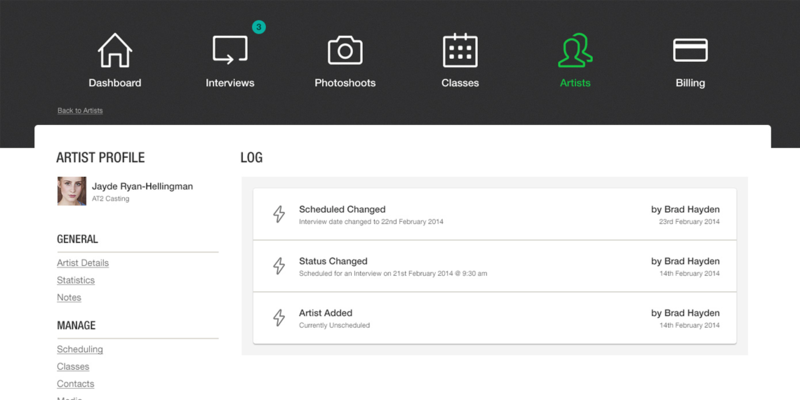 Your Artists/ Talent are your focus and we have developed ways to make managing theme far easier, so get excited. Notes you take in interviews, or about anything else important are saved with your Artists for reference at anytime. 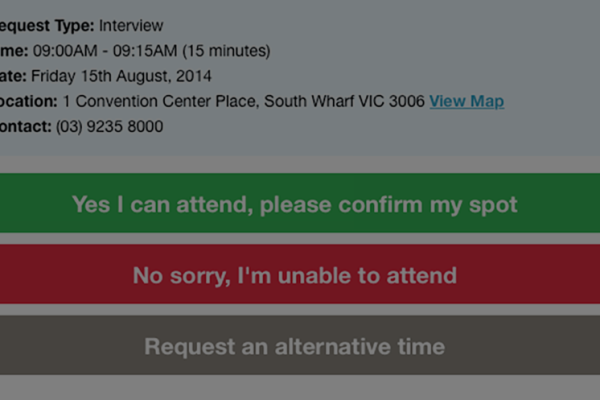 The on-boarding process of new Artists applying with you and interviewing them can be tedious, not anymore. 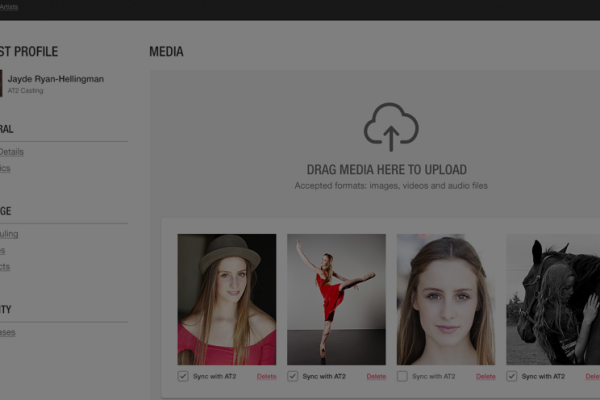 We can help you manage all your media on your Artists, just drag and drop it in, it couldn’t be any easier. 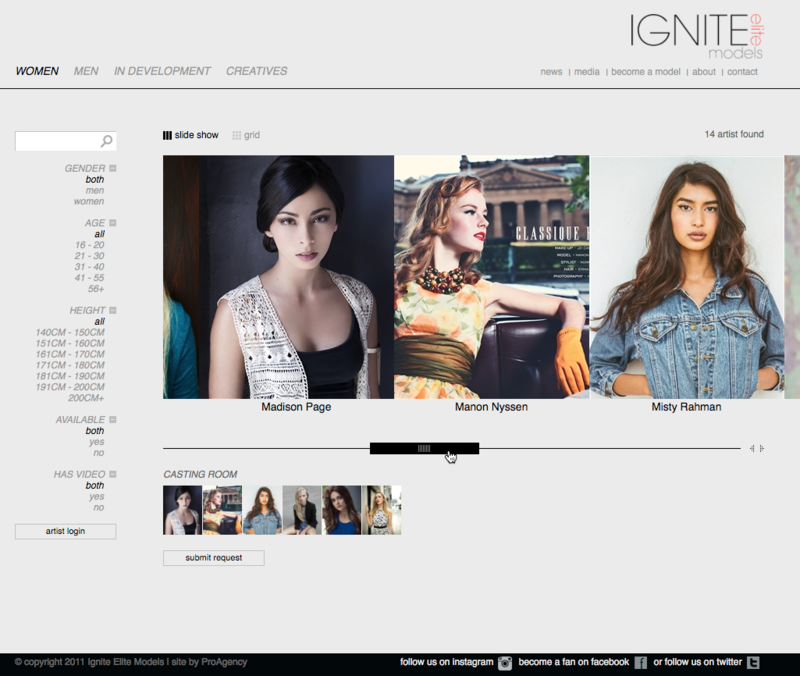 We can integrate your Agency Website so Manager Manger can power your talent profiles making website management a breeze. 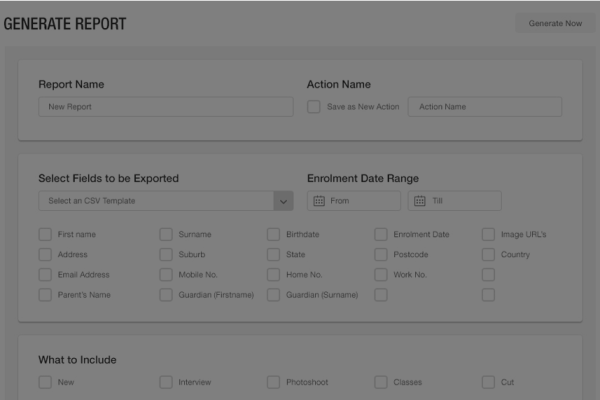 We have built in reports to assist you in capturing any data you need on your talent. 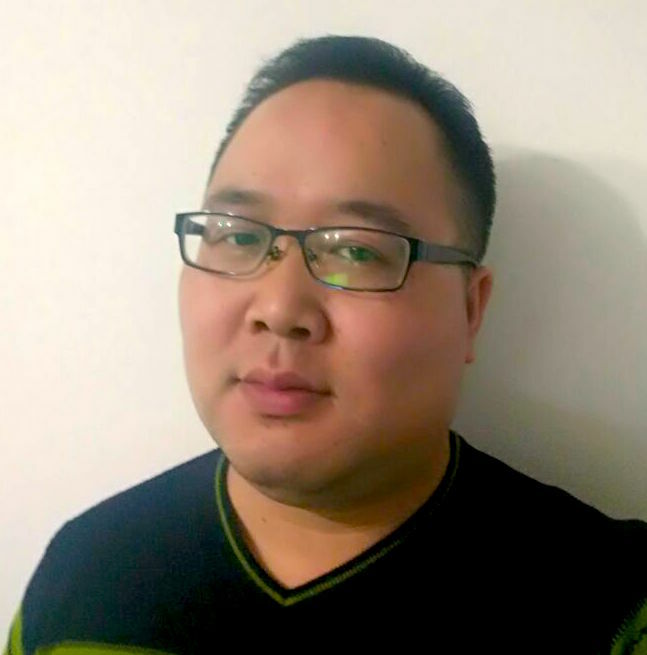 We rely every day on Manager Magic and our fully integrated Agency Website and Join form, to manage our entire application, scheduling and fulfilment process for our national agency set-up across 4 states, we have over 10 staff accessing the app daily, managing appointments, photoshoots and activation of our talented children into our agency seamlessly. 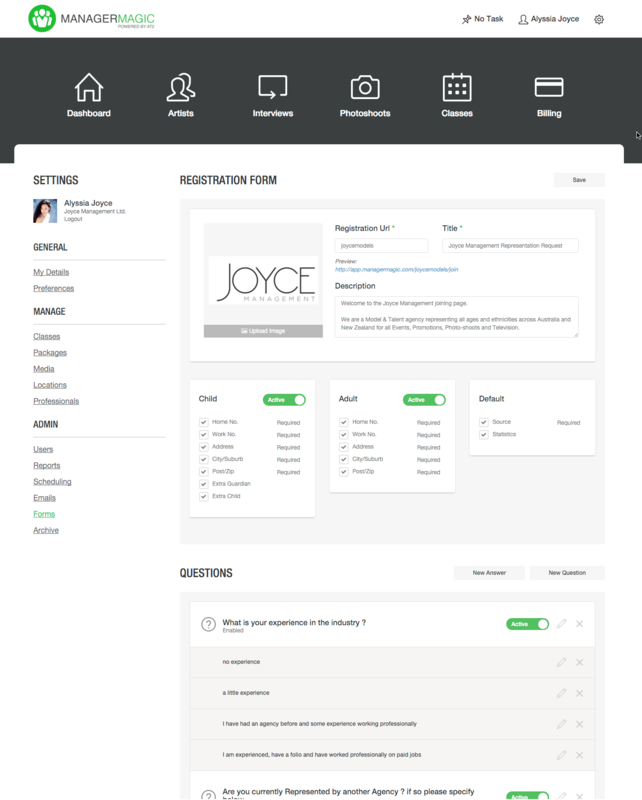 We have been using Manager Magic for over 6 months now, it has helped streamline our recruitment and talent management process, the automatic email notifications and scheduling features, allow us to manage this process far more efficiently than ever before, the detailed profile manager and notes feature on each artist allow us to always have access to the data we need in a few clicks. 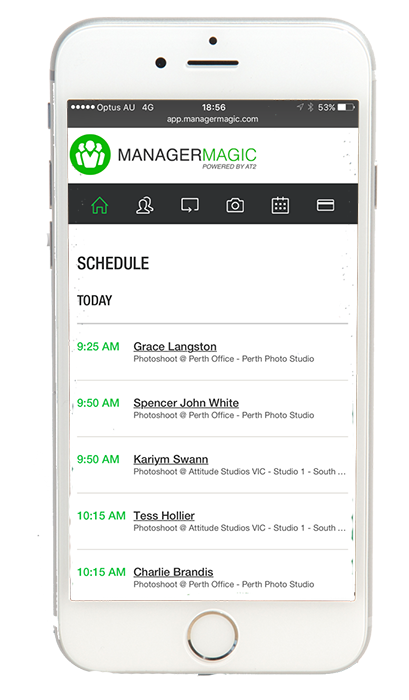 The fact I meet new Artists in multiple places, means with Manager Magic I can streamline this process and schedule appointments or photoshoots across multiple regions all in the one app and have access on my phone or ipad anytime I need it, loving Manager Magic, thank you. 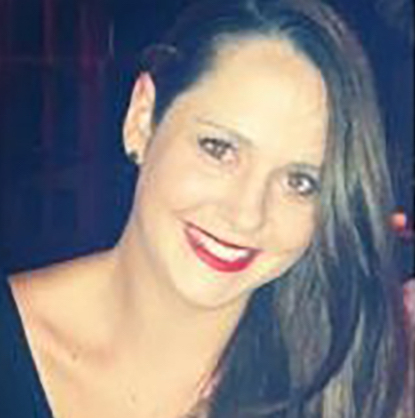 “We have been looking for a system to manage the recruitment and profile management of our talent across our offices in 2 different countries. 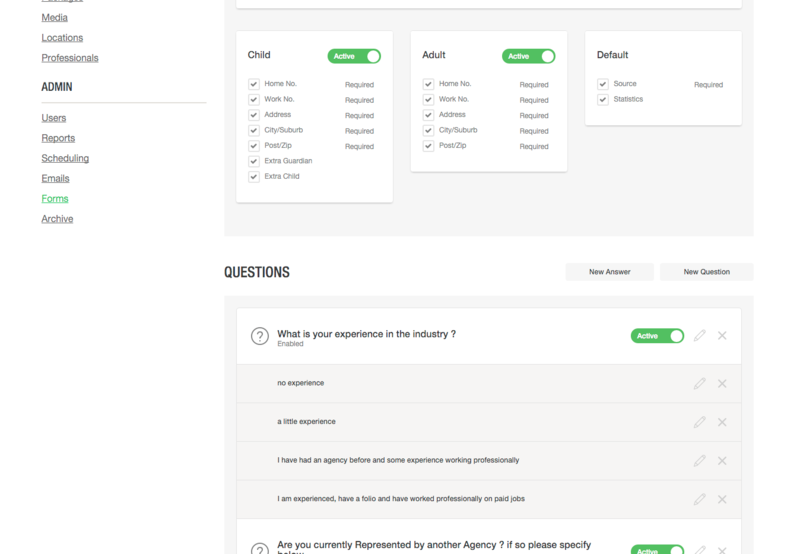 We also use the online casting and marketing system, the talent profiles are fully integrated into our Agency website too ,meaning we have the complete process integrated reducing time and effort for us”. 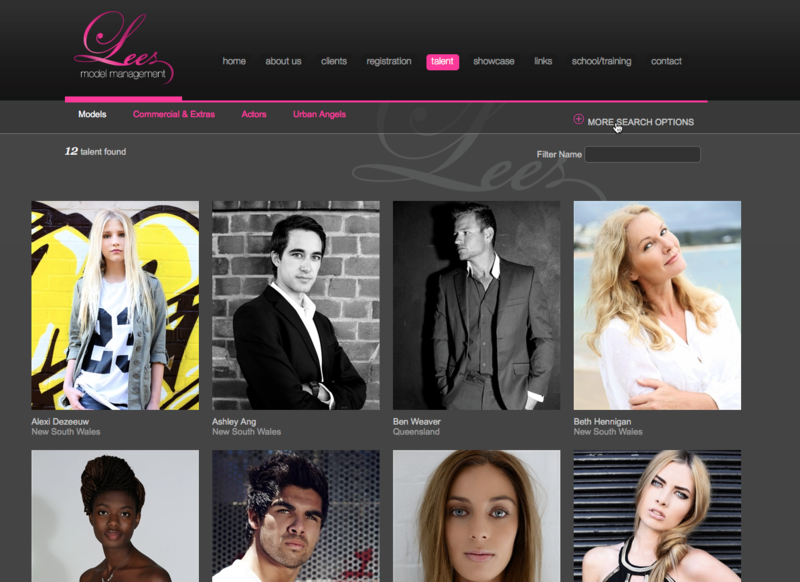 “We have built a brand new site, using the online casting and talent integration feature and have also set-up Manager Magic to run our recruitment and fulfilment process. I am excited to have a new system to manage my business end-to-end. 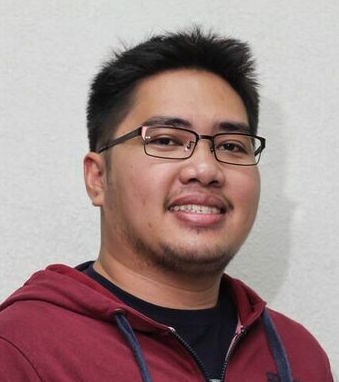 I love the features and the look of Manager Magic, it is exactly what we having been waiting for”. We are a dedicated, passionate and inspired team who work day-in and day-out together to bring you the most amazing Software As A Service available today, for agents and managers and their agencies/companies around the globe. We would love to chat to you and demonstrate how Manager Magic can assist your business.